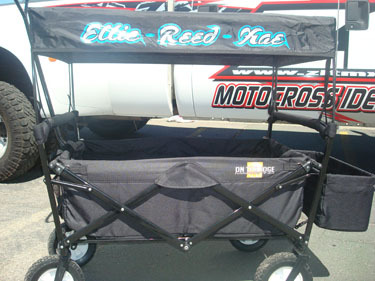 Our Folding Mobile Wagon with Canopy replaces numerous trips to your car hauling all your gear, then folds compactly to store in a your car or closet. The Rugged wheels maneuver over sand. Also includes en extra basket, cup holder and powdercoated steel frame To give it just the right look. the canopy is removable. Transports up to 150 lbs.